Every summer I am faced with a bunch of question from my student’s parents about what they can do to help their kids continue to learn over the summer. The “Summer Brain Drain” phenomenon is reality. If kids are not exposed to learning during the summer, they can come back to school several months behind where they left it. Reading with your child every night is essential, but what else can you do? I found a great, free, resource for kids to get some hands on science experiments from the Chicago Museum of Science. They offer some fantastic summer activities for kids. The Summer Brain Games is a free science program that is completely online and available from the Chicago Museum of Science. Once you sign up a PDF file is emailed to you with several experiments that you and your child can do together. 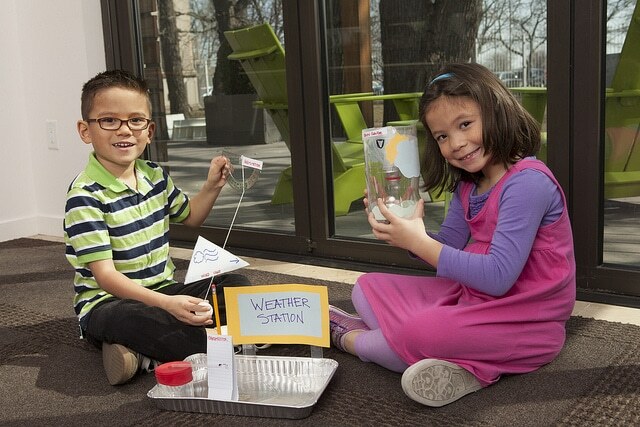 Each week’s online kit will feature an experiment or science challenge that can easily be performed at home with kids of all ages (and with a little adult supervision). It’s offered in both English and Spanish. When you register, you even get a free ticket to the Chicago Museum of Science! The program is easily adaptable for younger or older students as well. My son is 4 and is entering his second year of preschool. I love his enthusiasm for wanting to learn all about different things, especially science things. What 4 year old boy doesn’t love science stuff? I would suggest doing one or two activities from the program a week, thus extending the program throughout the summer. So far we have done the balloon races and the Pinhole viewer, and both were very exciting for my kiddos. Yes, my son is in his pajamas… it is summer after all! The experiments were engaging even if I had to do most of the work. My son is just a little too young to construct most of the activities, but that didn’t stop him from being engaged and excited for the project. If you are super excited for the activities, your child will be too! The pinhole viewer was really neat. 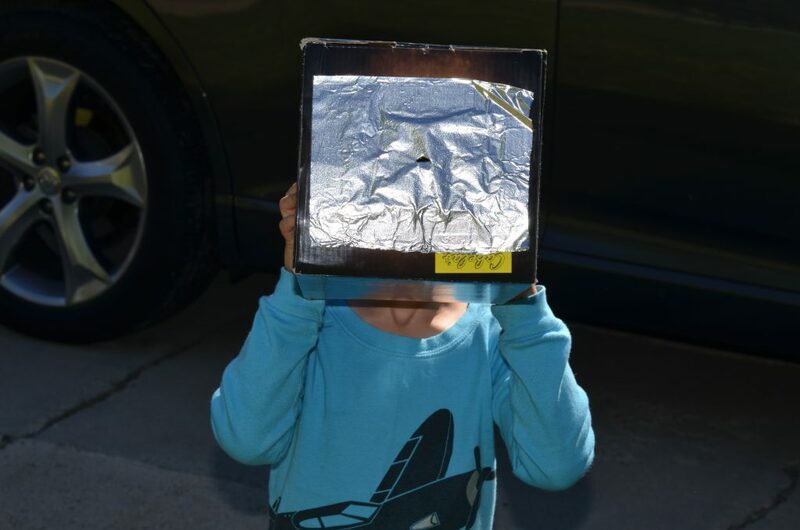 We constructed it out of a box using some aluminum foil and some wax paper. When you look through it, whatever you are looking at is upside down. My son got a kick out of it. 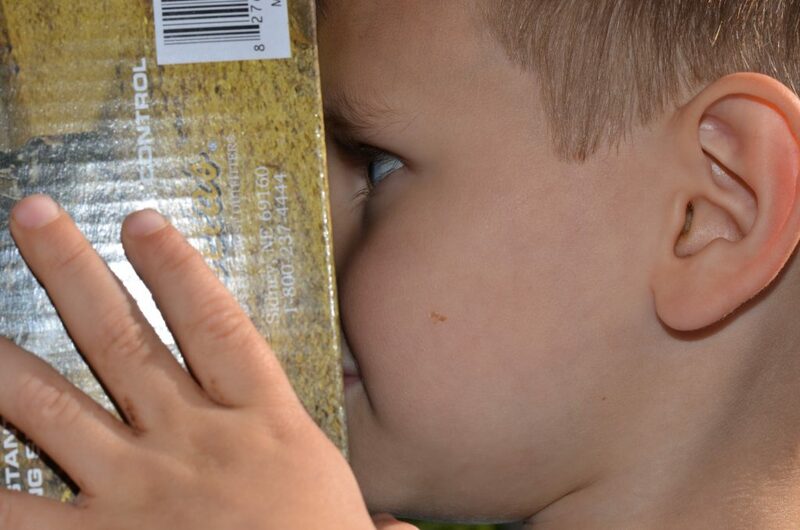 Making this pinhole viewer is a great summer activity for kids! Some of the other activities include building a kite and creating structures that are hard to fall down. I have actually done a few of these in my first grade classroom. Now I have even more ideas to keep my kids excited about science! 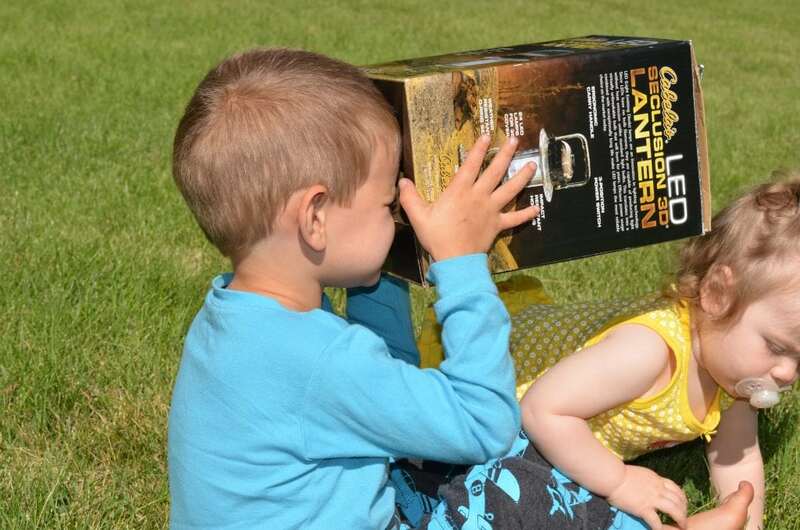 Oh awesome, I will have to sign up and see about doing some experiments with my nephews! Thanks for sharing. This sounds neat! I’m going to check it out. I need to keep my kids learning this summer. How exciting! This is something my son would enjoy. How fun! My son loves doing activities like that. That looks like fun! I will check it out if I ever get to Chicago.